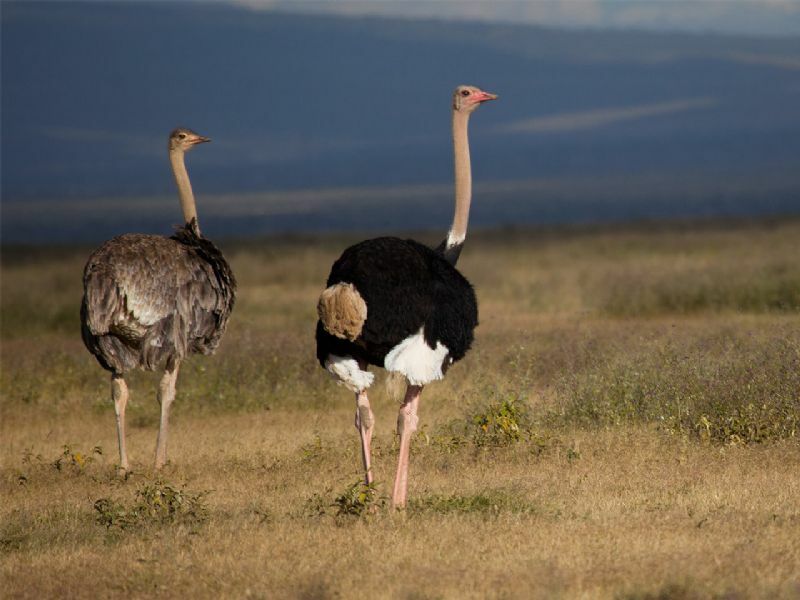 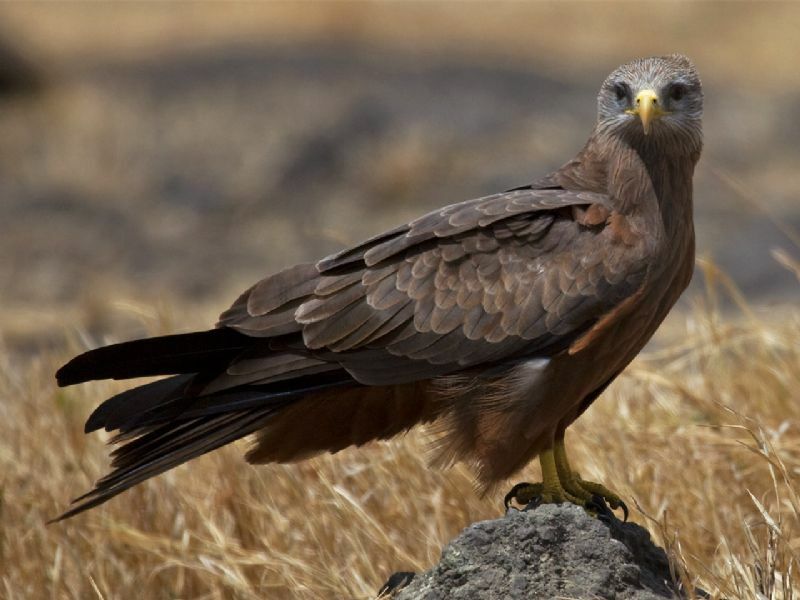 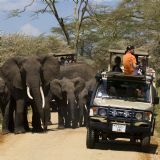 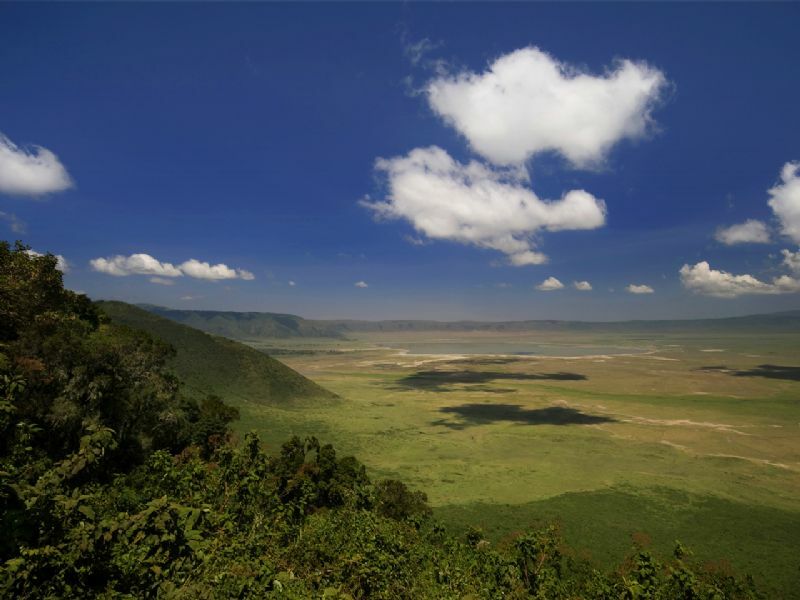 The Ngorongoro Conservation Area (NCA) is a conservation area and a UNESCO World Heritage Site situated 180 km west of Arusha in the Crater Highlands area of Tanzania. 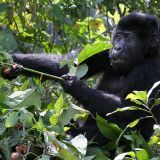 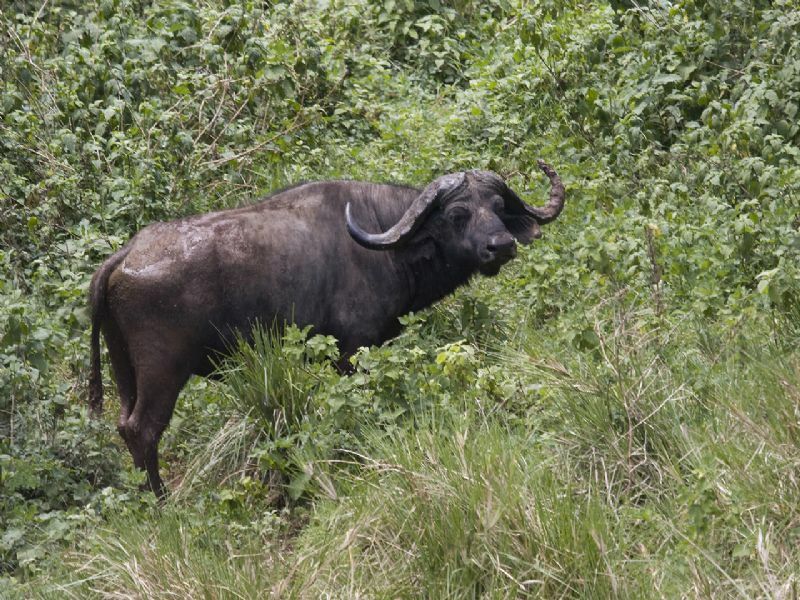 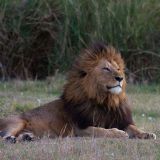 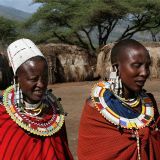 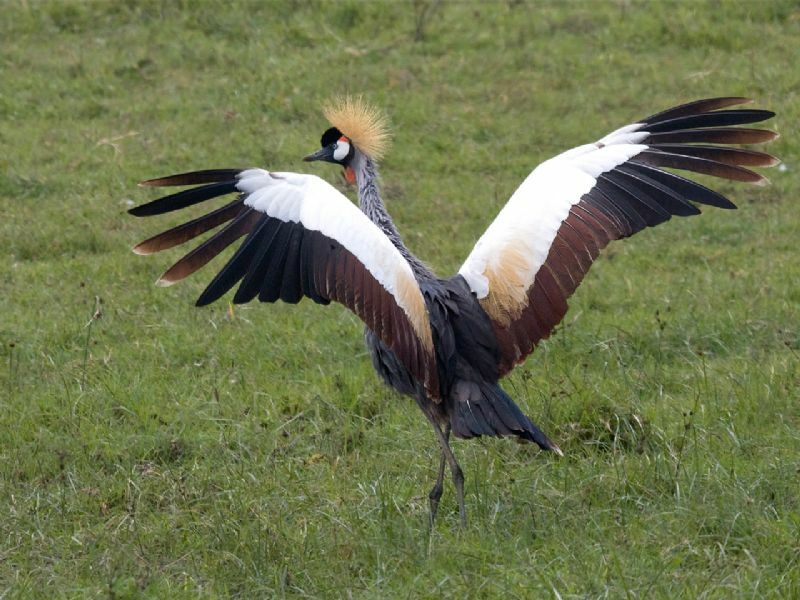 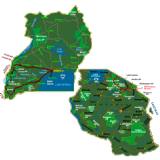 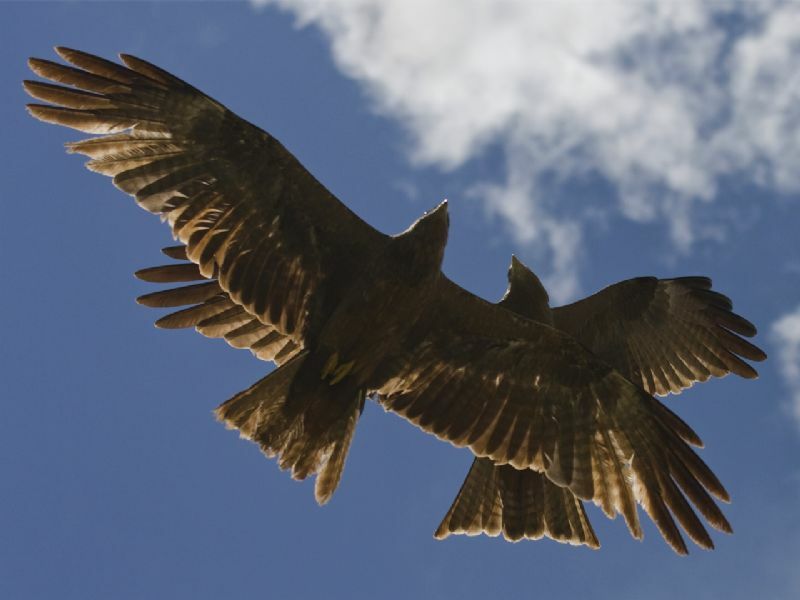 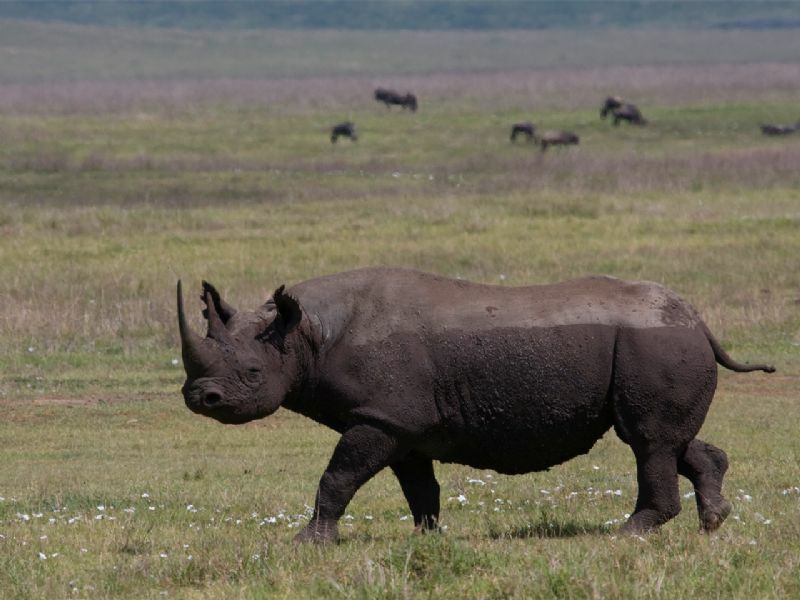 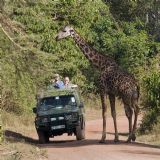 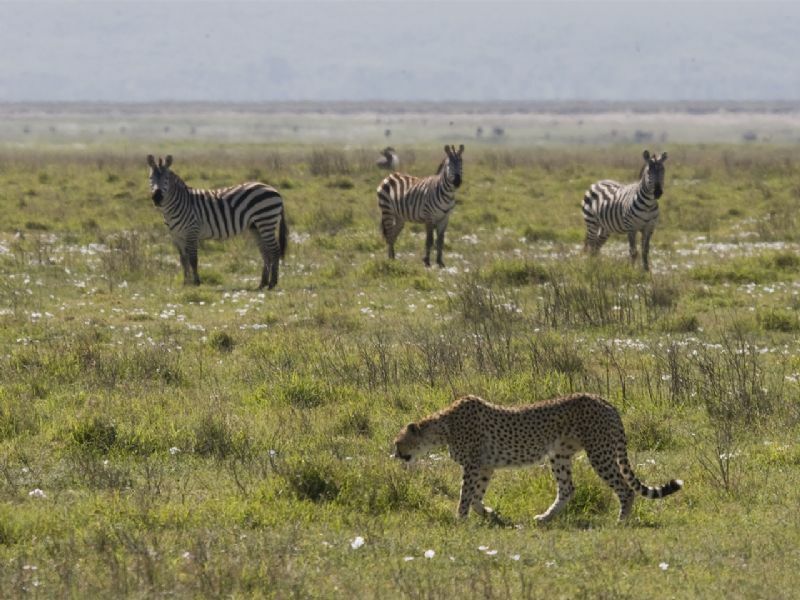 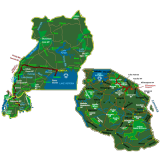 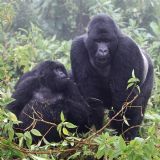 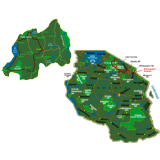 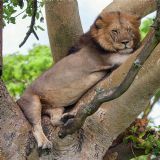 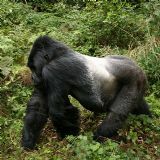 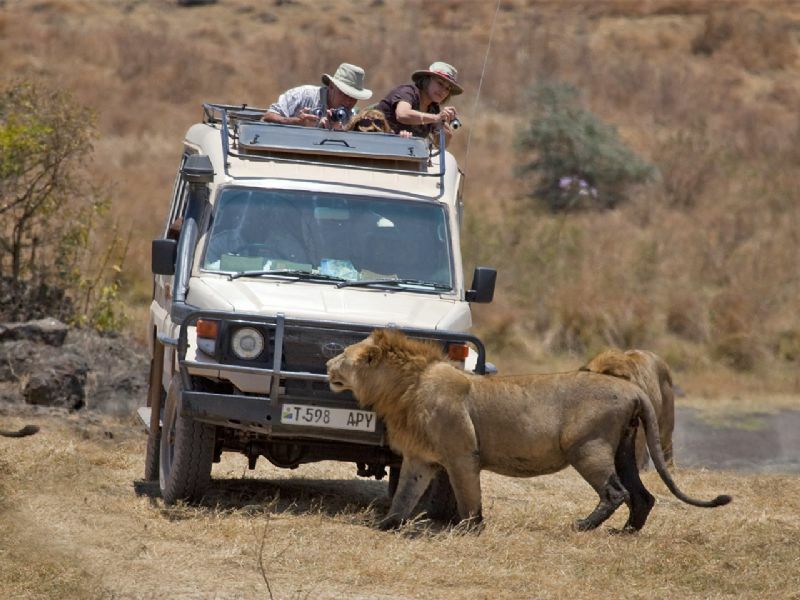 The conservation area is administered by the Ngorongoro Conservation Area Authority, an arm of the Tanzanian government, and its boundaries follow the boundary of the Ngorongoro Division of Ngorongoro District. 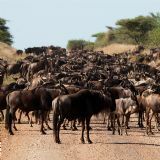 A population of approximately 25,000 large animals, largely ungulates along with reputedly the highest density of mammalian predators in Africa, lives in the crater. 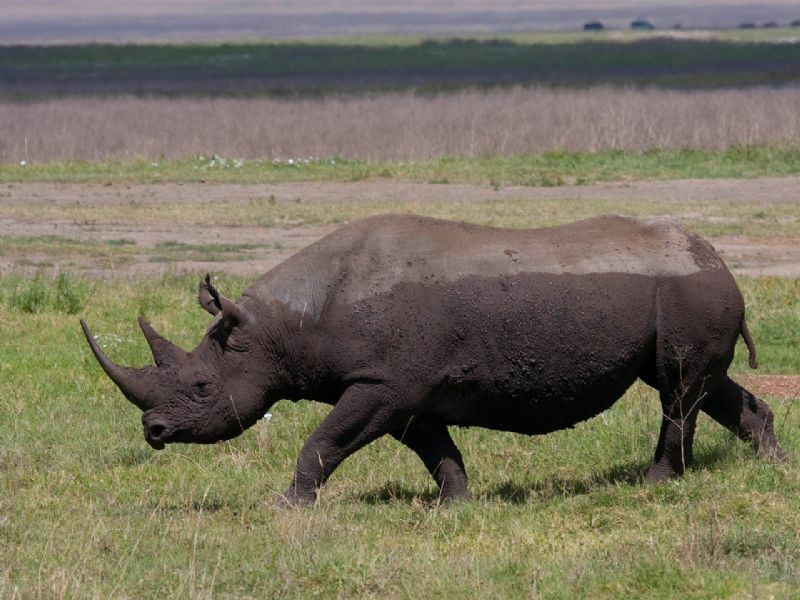 Large animals in the crater include the black rhinoceros, the local population of which declined from about 108 in 1964-66 to between 11-14 in 1995, and the hippopotamus, which is very uncommon in the area. 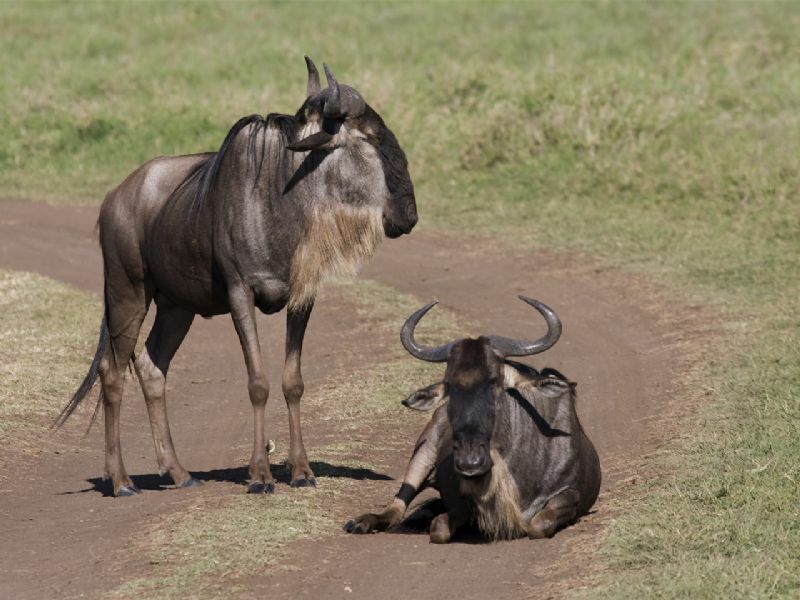 There also are many other ungulates: the wildebeest (7,000 estimated in 1994), the zebra (4,000), the eland, and Grant's and Thompson's gazelles (3,000). 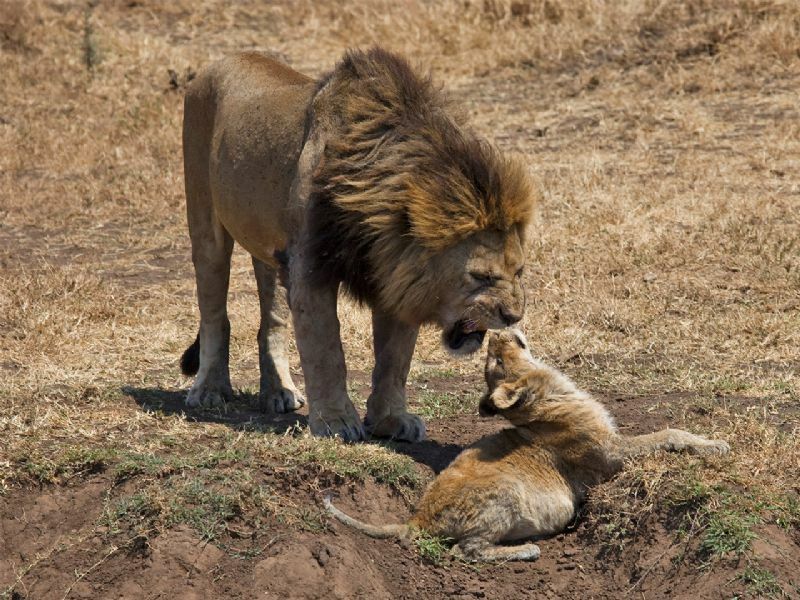 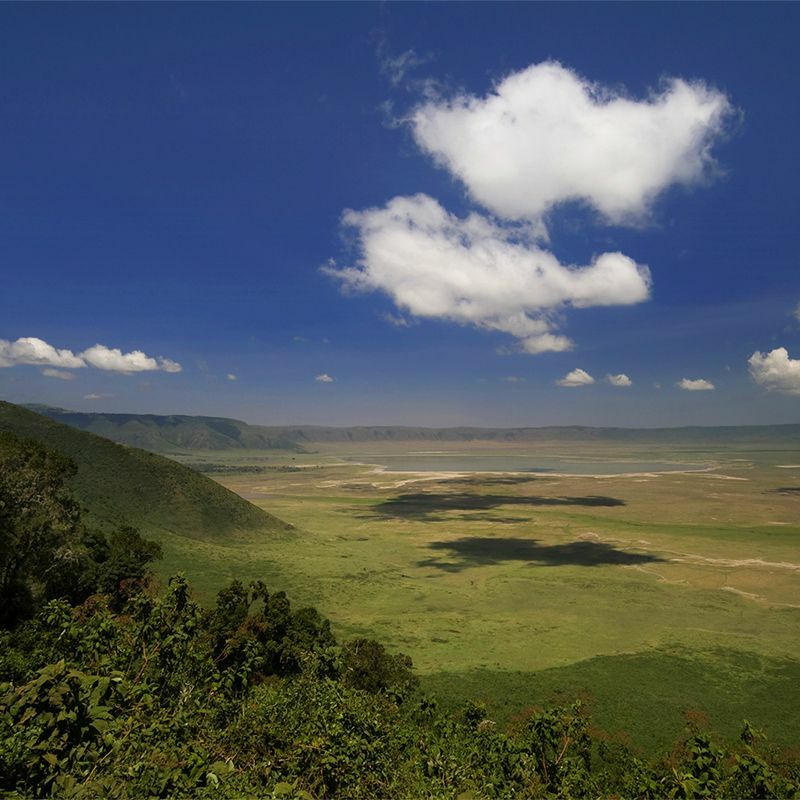 The crater has the densest known population of lions, numbering 62 in 2001. 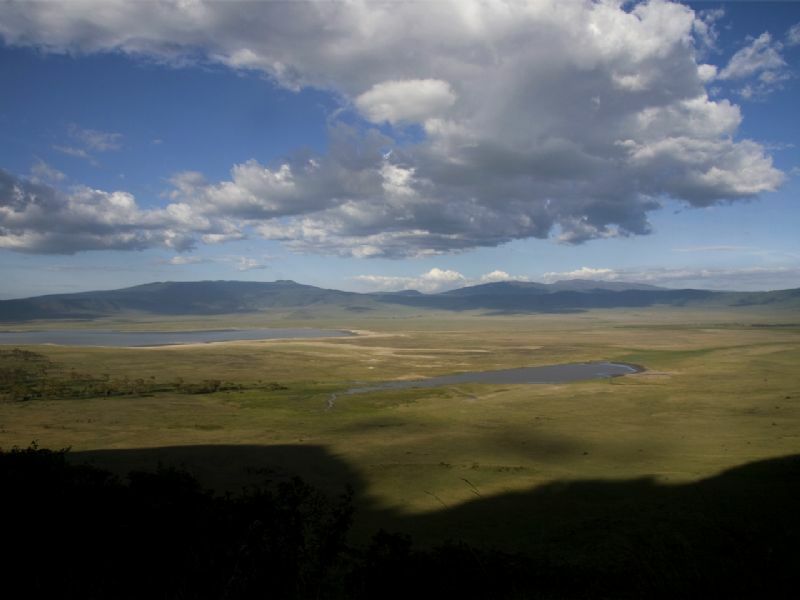 On the crater rim are leopards, elephants - numbering 42 in 1987 but only 29 in 1992 - mountain reedbuck, and buffalo (4,000 in 1994). 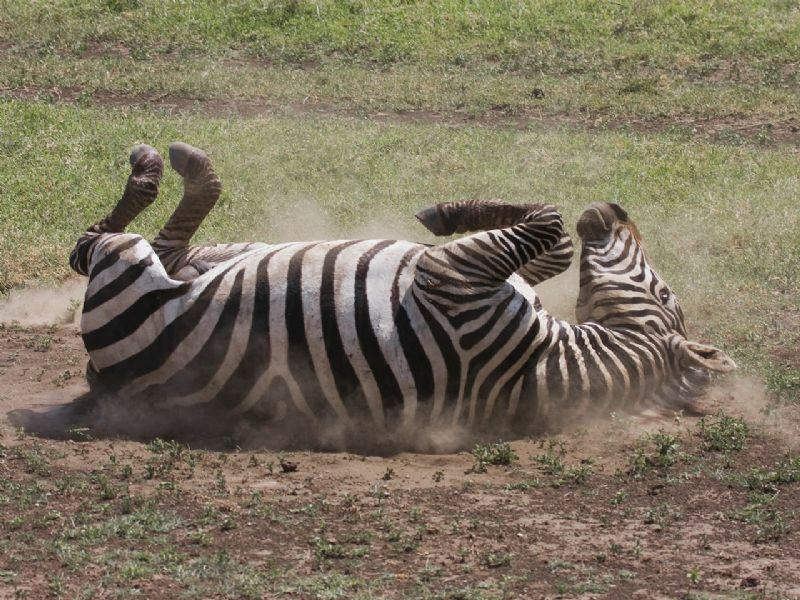 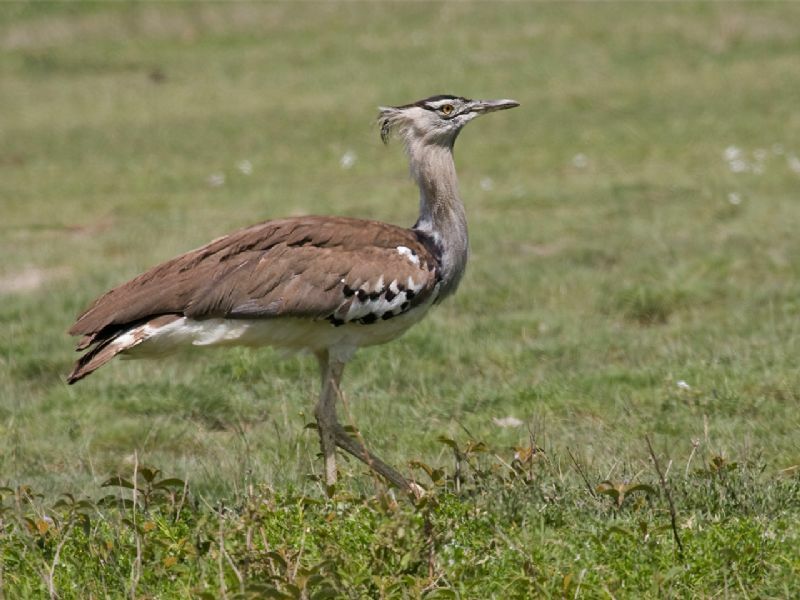 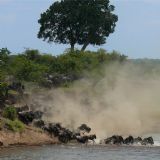 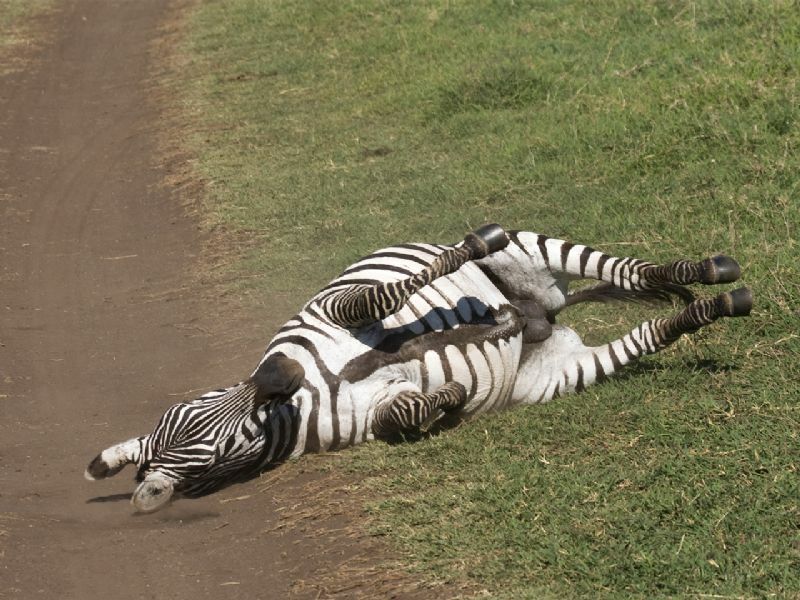 In summer, enormous numbers of Serengeti migrants pass through the plains of the reserve, including 1.7 million wildebeest, 260,000 zebra, and 470,000 gazelles. 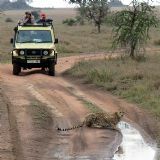 Waterbuck occur mainly near Lerai Forest; servals occur widely in the crater and on the plains to the west. 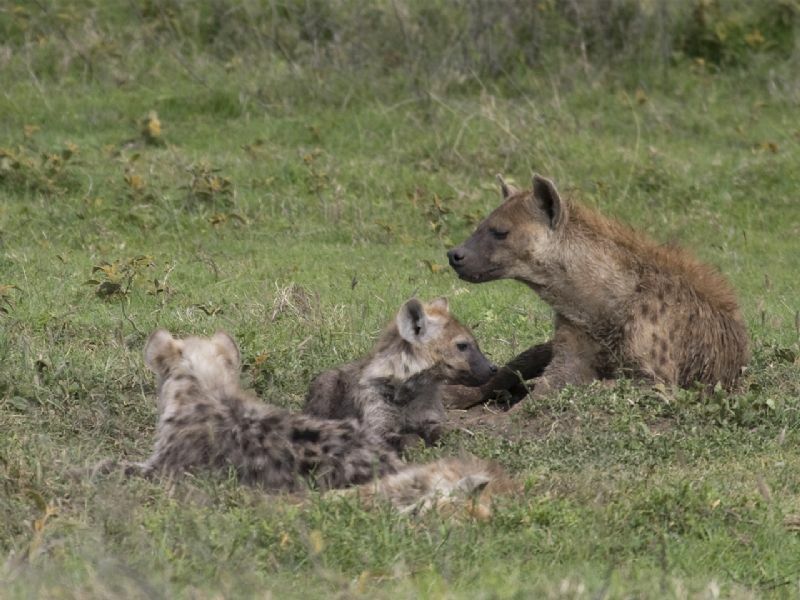 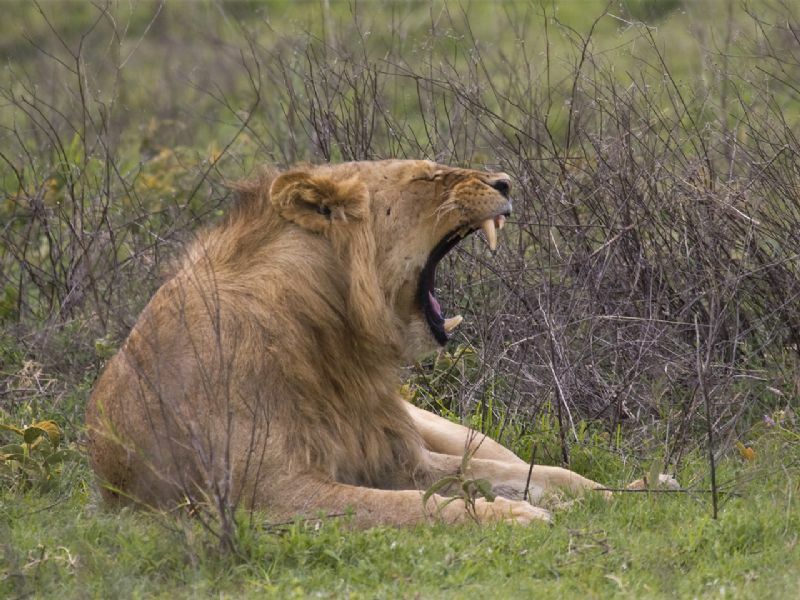 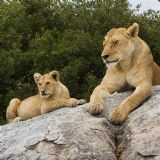 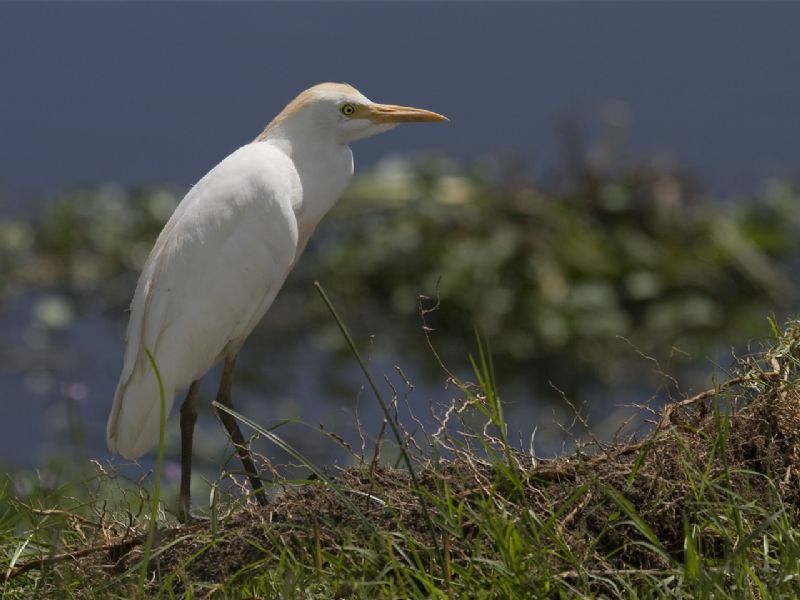 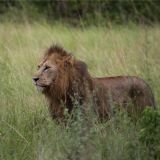 Common in the reserve are lions, hartebeest, spotted hyenas and jackals. 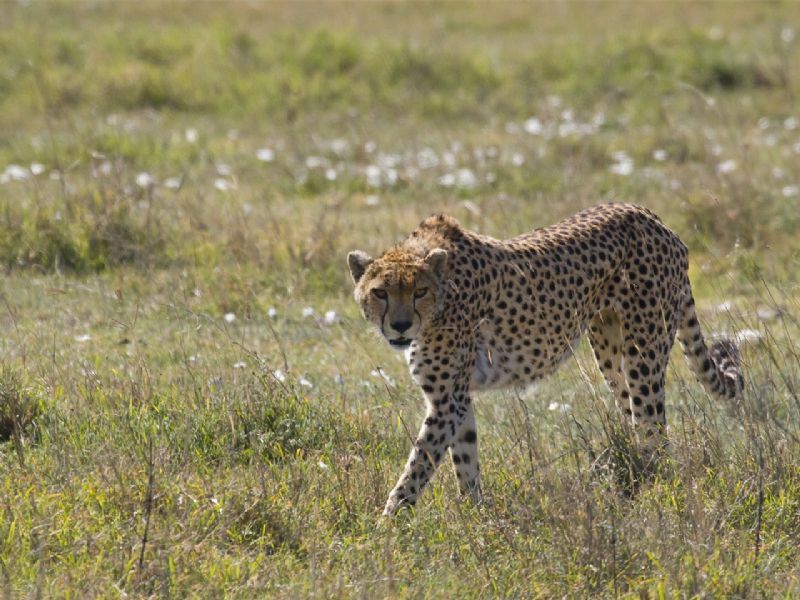 Cheetahs, although common in the reserve, are scarce in the crater itself. 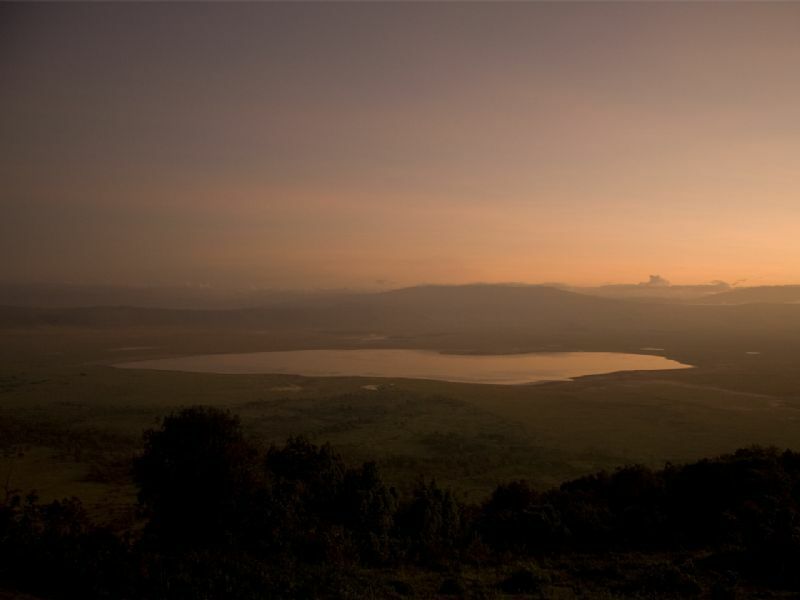 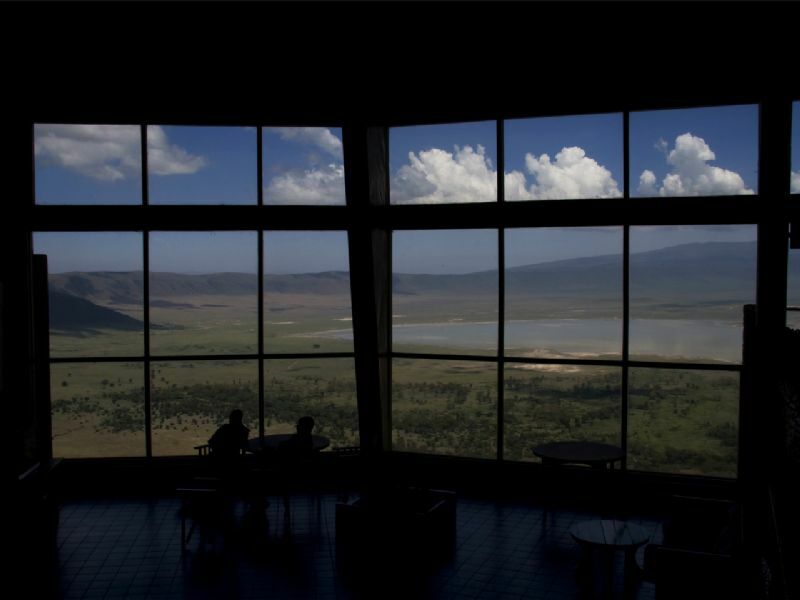 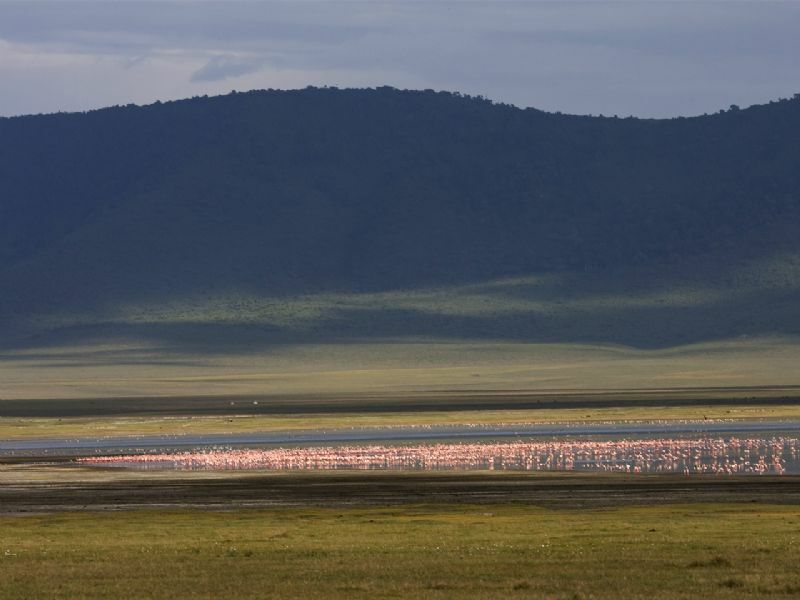 The main feature of the NCA is the Ngorongoro Crater, a large, unbroken, unflooded volcanic caldera. 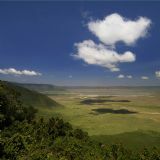 The crater, which formed when a giant volcano exploded and collapsed on itself some two to three million years ago, is 610 m deep and its floor covers 260 km² .